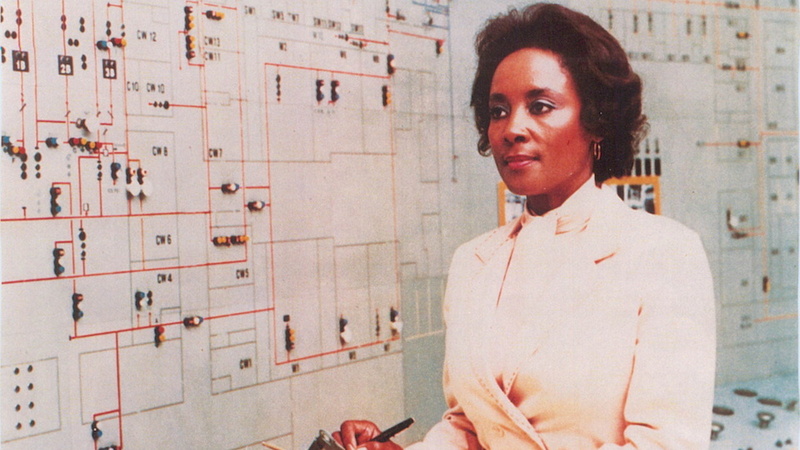 During Annie Easley’s 34-year career, she worked on and contributed to technologies and software that led to hybrid vehicles and great strides in spaceflight and exploration, and she did all of this as one of the first few African-Americans in her field. Despite racial tensions and segregation, Easley rose above, earning top marks and was the valedictorian of her graduating class to earn her a spot at Xavier University in New Orleans. However, when relocating after her wedding, she was unable to continue her education in pharmaceutical medicine. But that didn’t stop her from moving her career forward. In 1955, Easley noticed a story in a newspaper about twin sisters who worked for the National Advisory Committee for Aeronautics (NACA) as human computers — people who did calculations and computations for engineers. Since Easley found math to be an easy and enjoyable subject throughout her life, she felt that this job was very intriguing. She applied for a position, and was hired just two weeks later, becoming one of roughly four African-Americans on staff. NACA would eventually transition into NASA’s Lewis Research Center, later becoming the John H. Glenn Research Center. Easley went from being a human computer to a math technician — when the actual computers arrived, then pursued a mathematics degree from Cleveland State University while also working full-time at NACA with her own money, while her other male colleagues had their undergraduate tuition paid for (it was after she earned her degree when NASA sponsored additional specialized courses). As technology evolved, Easley’s education did as well; learning computer programming to write code (the SOAP and FORTRAN languages) and using those skills to develop the Centaur software for NASA, a high-energy booster rocket. Centaur was also known as “America’s Workhorse in Space,” used to launch numerous communication and weather satellites and exploratory spacecraft such as Surveyor, Pioneer, Viking, Voyager, and the Cassini spacecraft to Saturn in 1997.